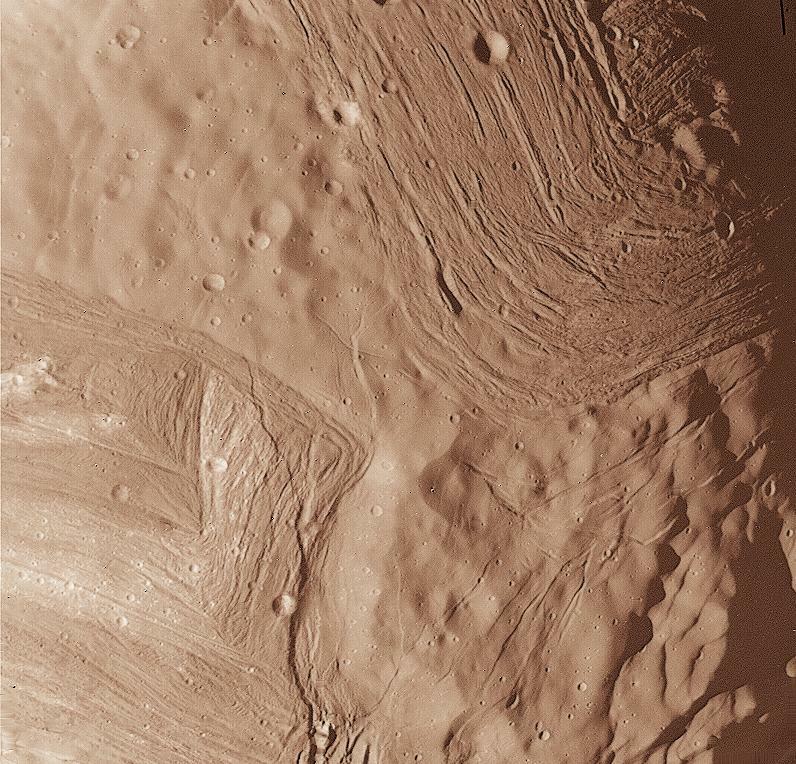 This is a photograph of the surface of Miranda. 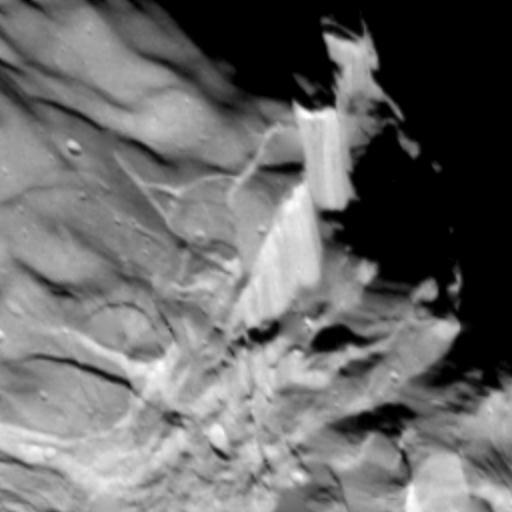 The ridges and valleys don't look like the usual satellite surfaces with meteorites crateres. 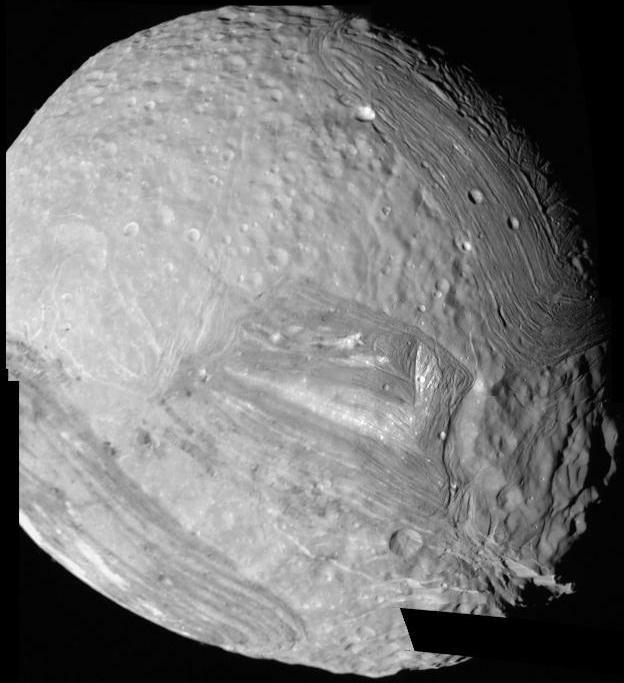 This is a photograph of the surface of Miranda in color. We can see meteorite crateres, but only a few large ones remains. 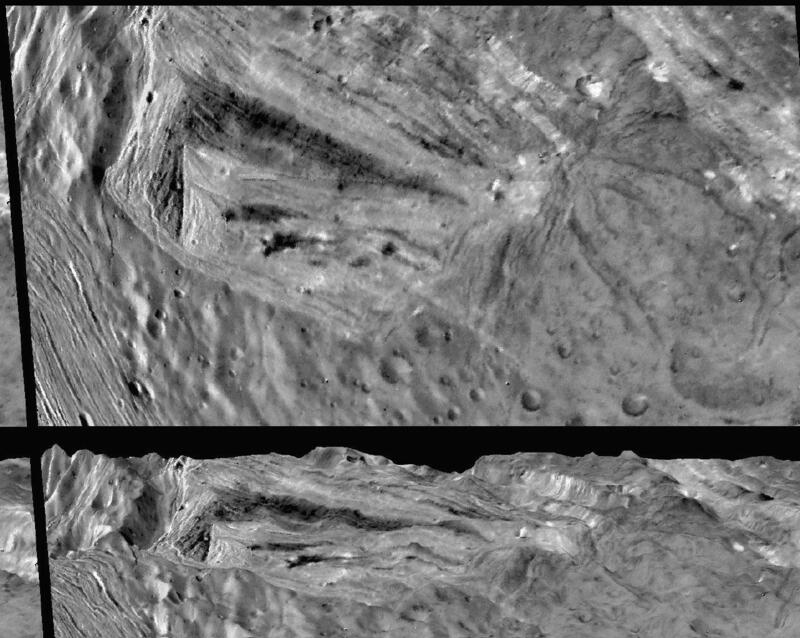 That why we can say the surface of Miranda is young. Here is a photograph of the whole planet. Here is a radar picture. The whole planet couldn't be scanned. The radar gives us the elevations, the resulting image is actually rebuilt from several sources (photographs and 3d renderers.) Radar images are called "mosaic". 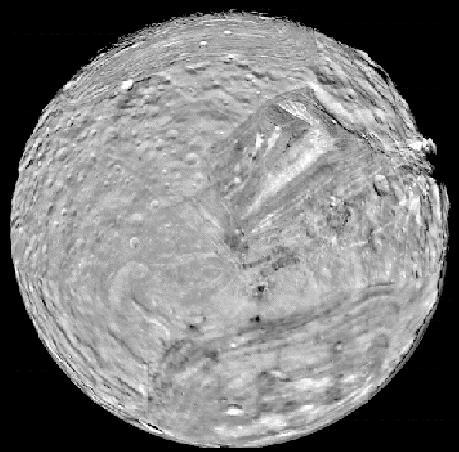 This is a photograph of the south pole of Miranda. You can easily notice the very strange shapes of this satellite.